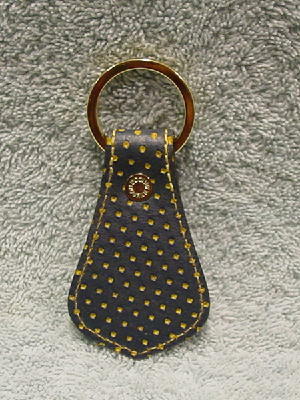 This never-used medium blue leather key holder is by Dooney & Bourke. It has yellow dot indentations. 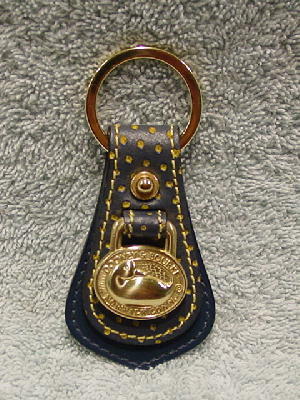 The gold-tone metal logo duck has Dooney & Bourke above it and Norwalk Conn. below it. It also says Dooney & Bourke on the back of the gold-tone snap. It was used in a product photo shoot.